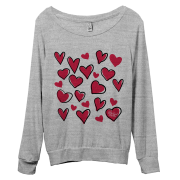 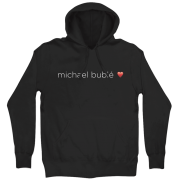 Soft black unisex pullover hooded sweatshirt featuring the love heart emoji. 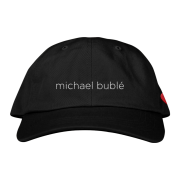 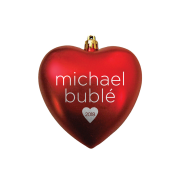 Black one size fits all hat with Michael Bublé embroidered across the front and the love heart emoji embroidered on the left side with an adjustable brass buckle closure in the back. 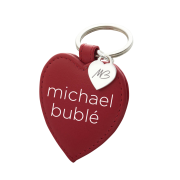 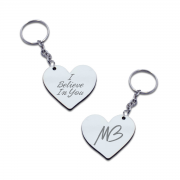 Silver coloured heart keychain with “MB” engraved on one side and “I Believe In You” on the other! 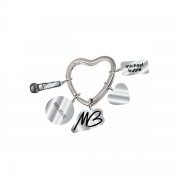 100% Metal. 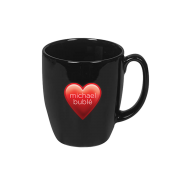 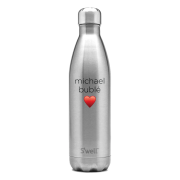 Start your day with a little Bublé! 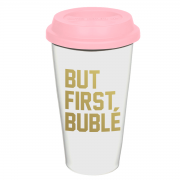 Ceramic coffee tumbler mug with pink silicone lid and gold lettering!